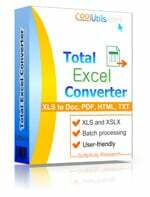 Total Excel Converter combines an array of options, which make it truly unique in terms of versatility and user friendliness. With this program installed on your device, you can let go of whatever converter youve been holding on to thus far. You can hardly find one capable of converting hundreds of XLSM files to Access among those you must have tried so far. What makes this converter truly irreplaceable is a batch function. No matter how many XLSM files you have, this XLSM converter can handle them all in minutes. You just need to choose the right folder and follow the simple and standard conversion procedure. 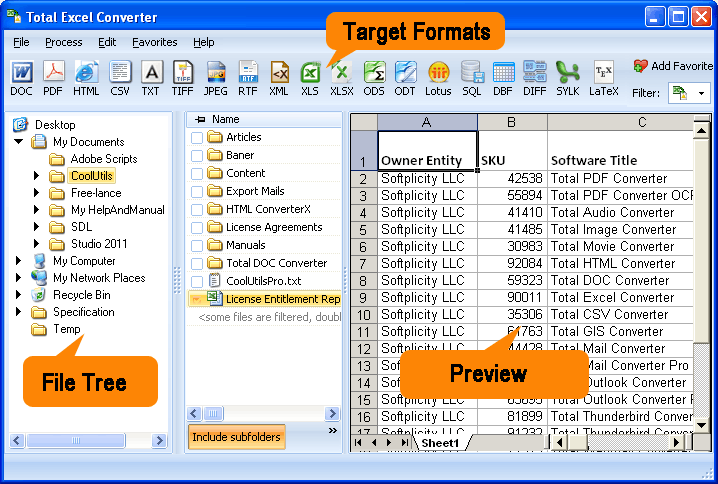 Once launched, Total Excel Converter teaches you to handle it properly without lecturing you. You'll know everything after just looking at the interface. You can see the folder tree on the left. 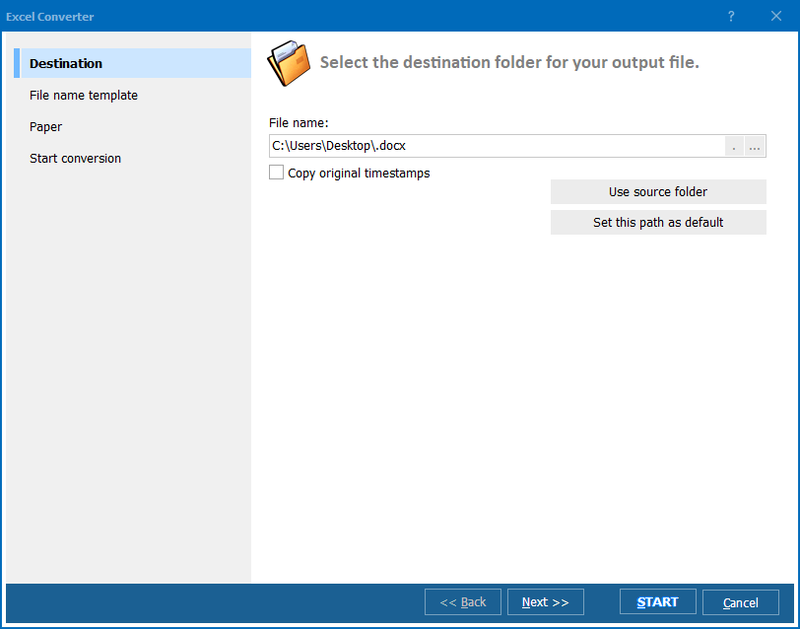 Find and choose the folder with XLSM files and move on to the list of files with checkboxes, which will appear in the adjacent section. To convert Excel to Access in large batches, use the "Check all" button. Thus you will activate the function, which checks all the objects instantly. To cancel the batch-checking, use the "Uncheck all" button. Specify Access as the output format. Follow the wizard and check/use appropriate settings. 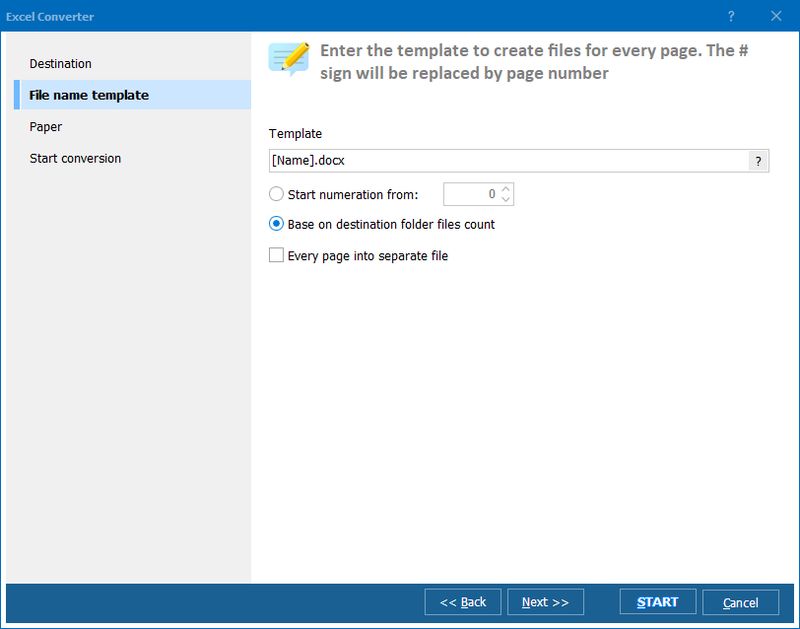 Specify destination for your desired Access files, set file names using the file name template. Apply appropriate file count options. Also, you can choose to save each XSML page as a separate file. In this case, the number of output files will be the same as the number of pages the XLSM file includes. Press "Start!" and wait. Usually, the whole thing is done in a few minutes. Apart from batch function, command line option is available. Also, the program is designed to integrate into windows, so that you can use the right-click menu and convert XLSM to Access from the desktop. If you are only considering the possibility of buying this program, download and check the free trial version. It will work for 30 days. After the expiry of the trial period, you will need to buy the key. Convert Excel to Access with comfort. Do you need to convert XLSX to Access?